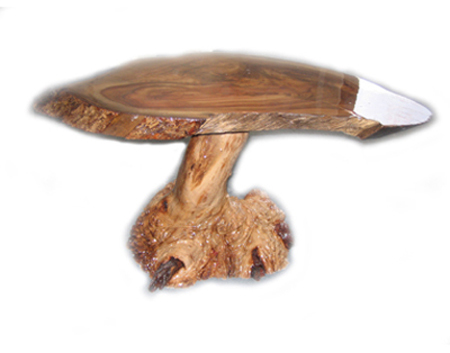 This coffee table has been made from a tree trunk slab of Camphor timber. It is not very common but has striking grain and colouring. Combined with full gloss 2 pack lacquer, the appearance is as good as its durability.